They say you can't take it with you and, when it comes to mechanical keyboards, they are usually right. While there's nothing like the feel of a good mechanical keyboard on your desk, for many, attempting to travel with one can prove to be a cumbersome experience. Enter Cooler Master's CK620. 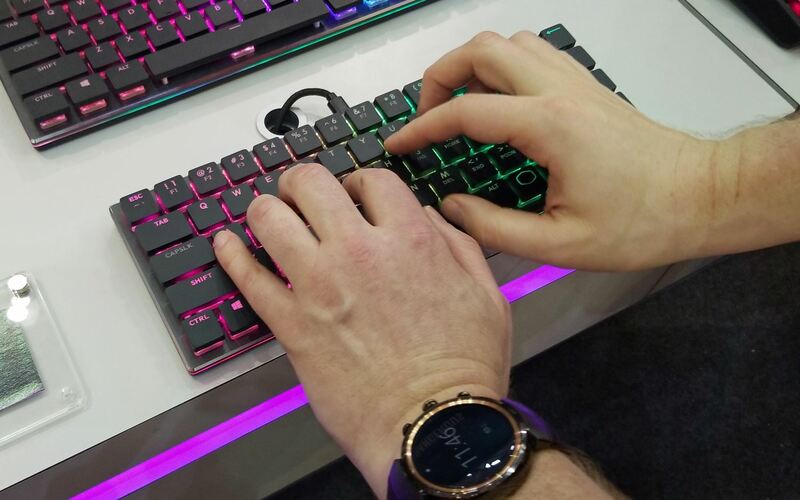 Due out at the end of this year or in early 2019, this compact mechanical keyboard can fit into most handbags and has an optional Bluetooth connection. The CK620 is one of the thinnest mechanical keyboards around thanks to Cherry's new, low-profile red switches. Red switches, particularly those from Cherry, have long been prized among gamers for their quick response time. These low-profile switches are 35-percent thinner than their regular counterparts and still have the great mechanical feel that power users crave. 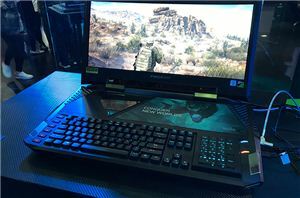 Overall, the Cooler Master CK620 is 60 percent the size of a full keyboard and much more compact than a typical tenkeyless keyboard. Even the keycaps are optimized for space-saving because they are completely flat. Having the chance to spend a few minutes with the CK620, we were left feeling impressed with just how great it looks and feels. The keys appeared to have plenty of travel and were more than large enough for adult fingers. They had the snappiness you expect from a mechanical keyboard too. 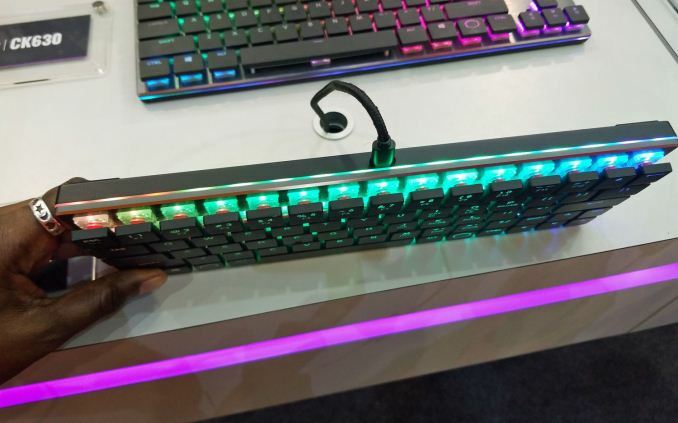 Even with all the space-saving, Cooler Master found room for RGB LEDs under each key. The silver base and black keys round out this impressive package. 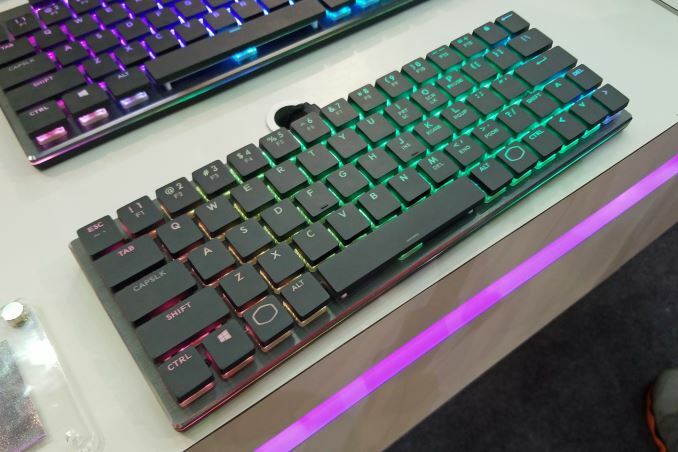 Cooler Master stated that when it launches at the end of this year or early next year, the CK620 will be available in both a wired-only configuration and a model that can connect via Bluetooth and USB Type-C. They said to expect a modest five hours of battery life with the RGB lights on, but a good deal more with the lights off. In addition to the CK620, Cooler Master is coming out with two other low-profile keyboards. The CK630 is a less-compact, tenkeyless model that has more blank space around the arrow keys. The CK640 is a full-size keyboard with number pad. Pricing was not revealed. 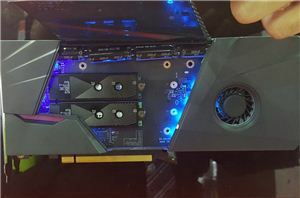 Want to keep up to date with all of our Computex 2018 Coverage? 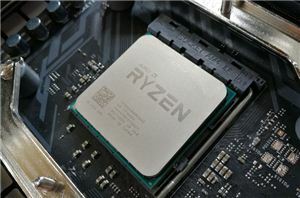 Follow AnandTech's breaking news here! Avram Piltch Contributed to this Report. "Even with all the space-saving, Cooler Master found room for RGB LEDs under each key."